Set in beautiful natural surroundings, on the shores of the Mediterranean Sea, where playing golf once again becomes a unique experience, Flamingos Golf Club offers an exquisite atmosphere, the most advanced facilities and a personalised service that allows you to enjoy and appreciate every little detail. In its short history, Flamingos Golf Club has already attained well-deserved international renown for the high level of quality it offers and for having been, for three consecutive years, the venue for the European Senior Final, ‘The Daily Telegraph European Seniors´ and the “Match Play Championship’. 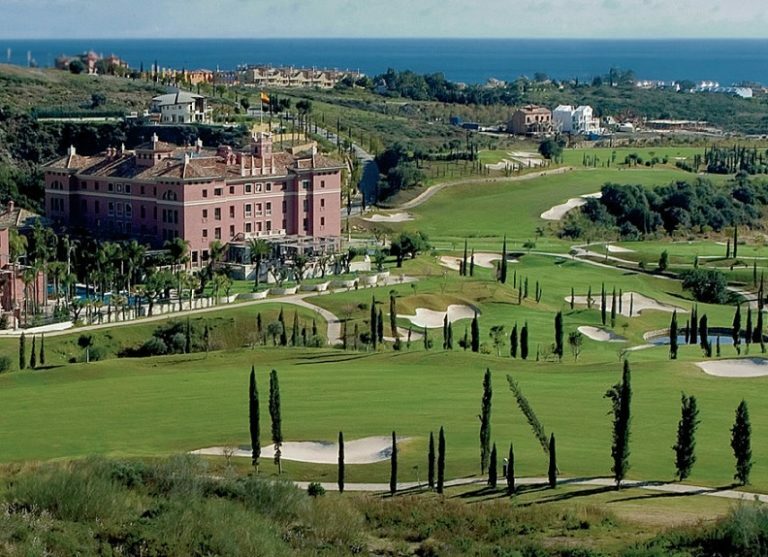 The club currently has three courses, ‘Flamingos Golf’, ‘Alferini Golf’ and ‘Tramores Golf’, the last being a par63, but the other two are best suited for long hitters, having respective lenghts of 5714 and 6641 metres. The Resort´s crowning glory is its prestigious 6-star Hotel Villa Padierna. Between San Pedro de Alcantara and Estepona, take the Cancelada exit, and go right up past the row of townhouses. The golfcourse is about 1500 mts away.